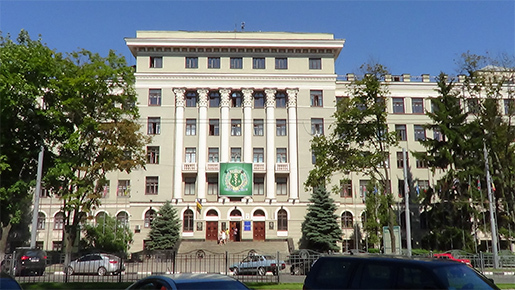 Kharkiv National Medical University (KNMU) Ukraine is one of the oldest higher educational establishments of Ukraine. Founded in 1805 as the Medical Faculty of the Kharkiv University it was later renamed in Kharkiv Medical Institute and Kharkiv State Medical University and presently it is Kharkiv National Medical University - KNMU. Kharkiv National Medical University is the best medical university in Ukraine for international students to study medicine in Ukraine. Historically, our University was the top medical educational institution in Ukraine. The Degree of MBBS (MD - General Medicine, BDS - Dentistry, Pharmacy, Nursing) of Kharkov National Medical University is prestigious and it is recognized all over the world. International students may study medicine in English or Russian optionally. Practical training start from the 3rd year and is arranged at municipal hospitals and clinics of Kharkiv city. Students examine patients, give urgent aid, fill case histories with their subsequent analysis, work at X-ray rooms, clinical and biochemical laboratories. Since 1951 the University has been training doctors for different countries of Europe, Asia, Africa. Presently more 4600 foreign citizens study at KNMU (Medical / Dentistry / Pharmacy Faculties, and PG course). More than 7,500 international students graduated from KNMU since 1951. Among former graduates of the University there are ministers and members of parliaments in various countries, outstanding scientists and famous specialists who founded their own clinics abroad. Among the University academicians there are than 700 teachers, including 102 Doctors of Sciences and Professors, 387 Candidates of Medical Science, 32 members of academies, 17 Honored Scientists.